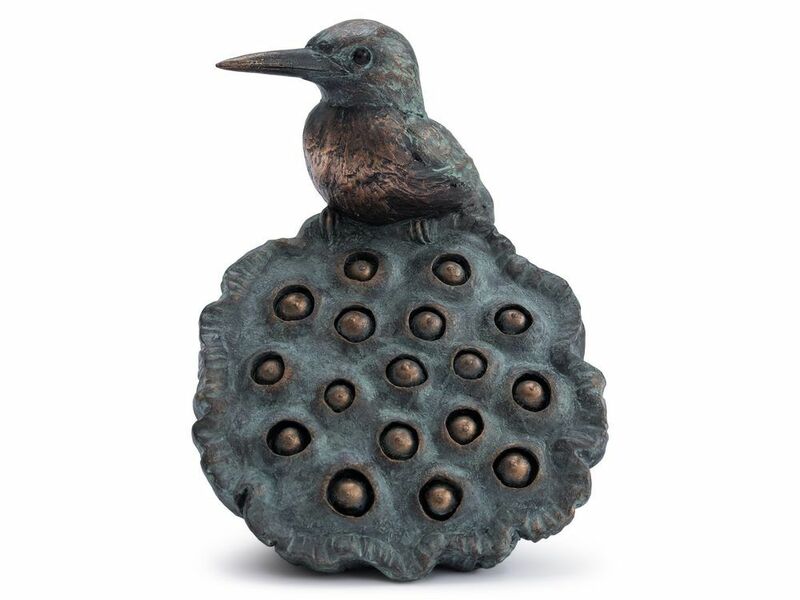 Showing a sweet little Kingfisher perched atop a lotus flower, this abstract bird sculpture is a charming tribute to the beauty of nature. Made from bronze finish resin with a verdigris metallic finish, the kingfisher has a gorgeous shimmery breast that beautifully depicts the iridescent plumage of this rare riverbank sighting. The lotus flower on which it rests is depicted in true detail, with the seeds resting in their recesses. This delightful decorative kingfisher will peep out from rooms, bringing playful character and a hint of the natural world to the home.